Wide Range pH test paper is a vital tool for classroom projects and field trips. 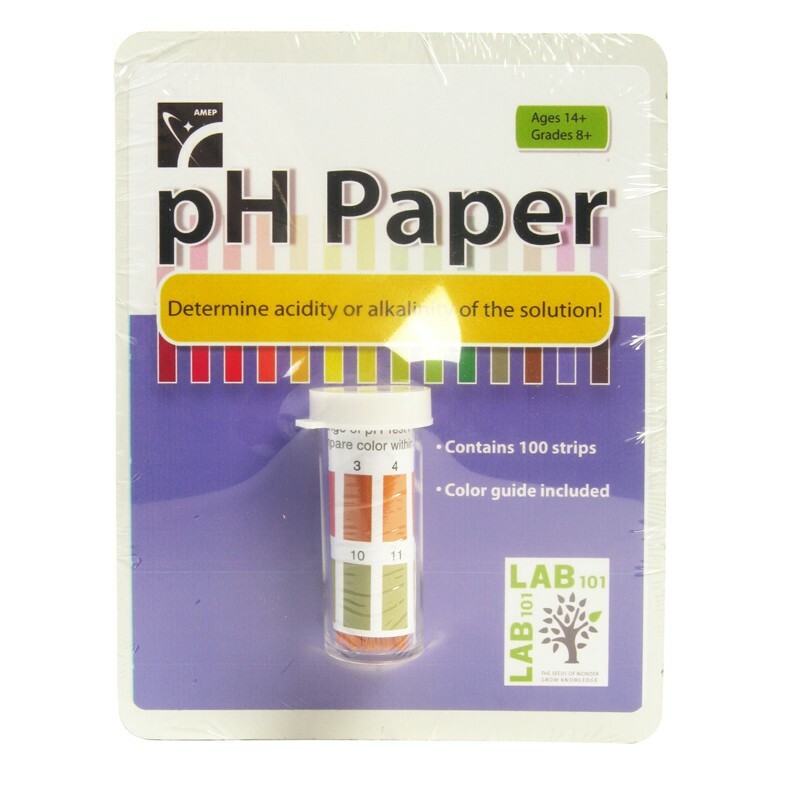 Our pH test paper is used to determine the acidity or alkalinity of a solution. Using pH test paper provides a quick visual indication of the degree of acidity or alkalinity present in whatever solution is being tested. This is a vital tool for classroom projects or field trips. They are supplied in a clear plastic vial containing 100 3mm x 12mm strips. All include color guides in vial. Sold in retail packaging.